From the journal of Don Fernando de Torrescusa, Marquess de Girona, Envoy of His Most Catholic Majesty, Carlos the Second, King of Spain, to the Flemish Free City of Laarden in 1688. "By now, they will be long past Laarden, My Lord. 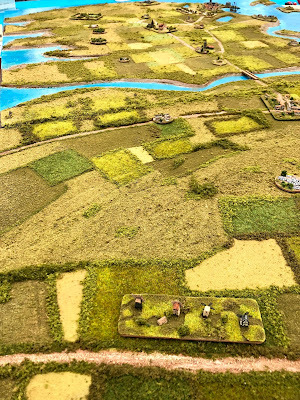 They will be past Ghent, and nearly past Antwepen. They do not known any limit in extracting their contributions. They will take the bridges, strip the villages, seize the baggage and take the crops. I have even heard rumours that they have sacked the churches and monasteries. For this is a new way of warfare. 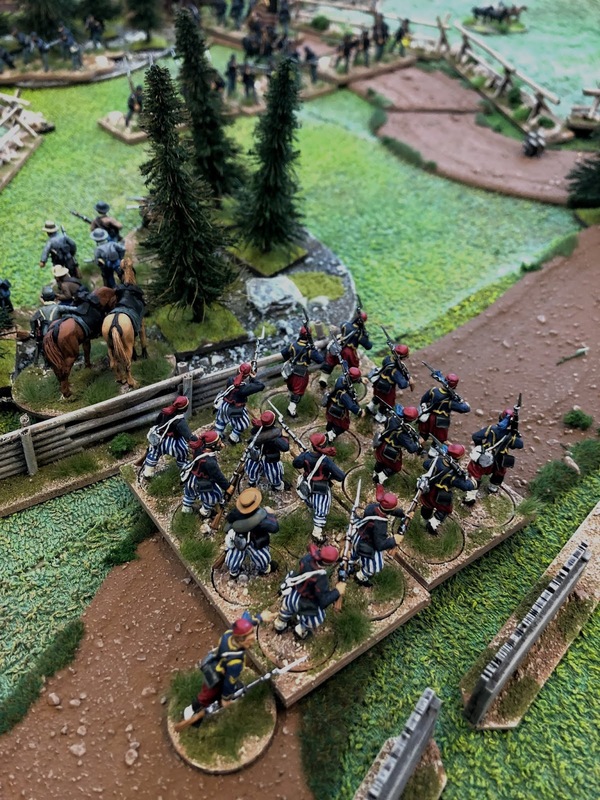 "The Duc de Luxembourg's dragoons recognise no battle line, halt at no flank, and do not take the essential parts of the Field as you might expect. Nor do they scour and pillage the land without reason. They know that without the farmers, the shepherds and the villagers they cannot use the land. Their purpose is to make war feed itself. Their value to the French King is measured by florins, marcks and guilders - not just by their muskets in the Field". 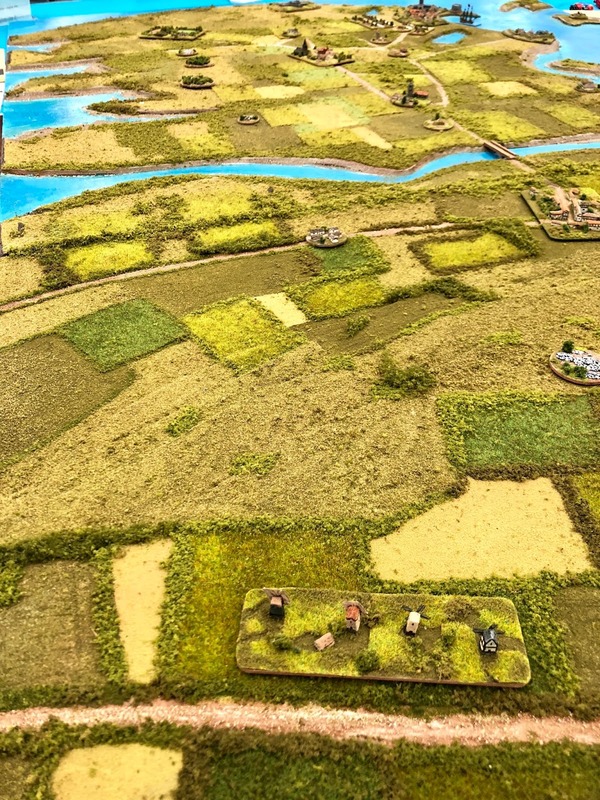 I leaned back from the tables of maps and looked at the collection of grey, worried faces of Laarden's leading generals, commanders and politicians. 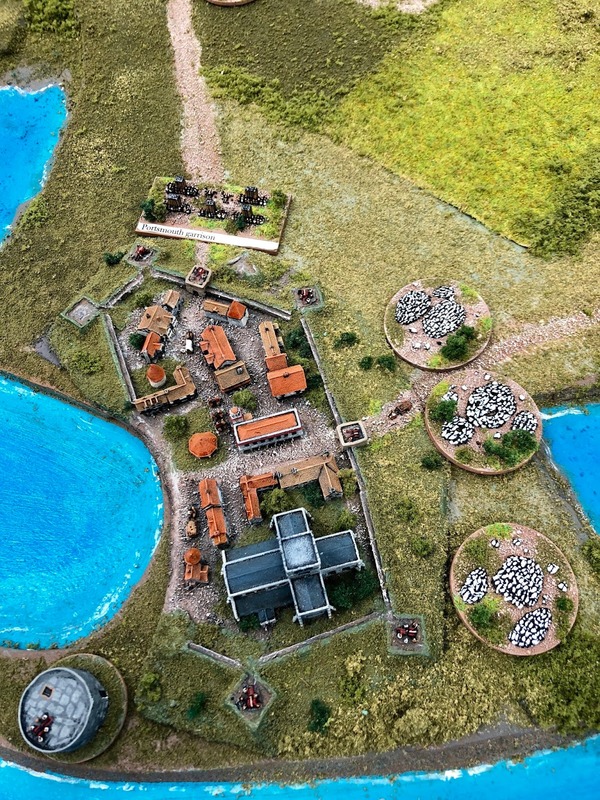 All the major Houses of Laarden were represented - de Vichet, Brueghel, Gloouw, T'serclaes, Gautier, van Aalst, Brochet - as well as a number of Imperial commanders having arrived in the Free City last few weeks. They stared at me, most with the greatest concern. 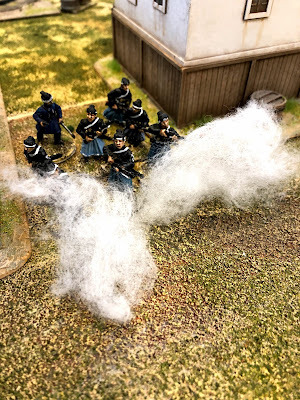 It was as if the news of the "contributions" being openly raised by French dragoons in the counties and lands surrounding Laarden had finally broken the Devil's spell of utter complacency cast over the City. "Antwerpen? ANT-werpen? ", spluttered the Count of Sint Vaalben, his pupils dilated with astonishment. "Antwerpen, in this weather? In the winter? And on our roads, Girona? On our own roads?" Jacob van Brueghel, Count of Sint Vaalben, was an experienced field commander. I had fought alongside him in Flanders twelve years before. He had not used the intervening period of peace to greatest advantage. I could tell he had never seen French dragoons at close quarters, nor experienced their trademark depredations. I tried not to sigh, or display impatience with him and the rest of the Council of Laarden. I could sense that they were all tired, perhaps even growing weary of my continual warnings. But at least they were listening now. I spoke to him slowly, my fingers moving across the maps and dispatches on the table to emphasise my argument. "My Lord will remember when we spoke shortly after my arrival of the danger posed by the Sun King's dragoons. They are the hounds moving in advance of the hunting party. They will move on the roads, through the fields, through the down-lands, into the woods, across the bogs and heavy ground. They take a direct share of their plunder extracted from your lands, My Lord, along with wealthy hostages. They will be past the Free City of Laarden, even now. They are creating a noose for your City, My Lord." They had finally realised how bad this could be. As you'll have realised, I've jumped back to the journal of an earlier correspondent in the annals of the alt-historical campaigns around the fictional Free City of Laarden, the veteran Spanish field commander, Don Fernando de Torrescusa, Marquess de Girona. You would be very much forgiven for thinking that the above ramblings are the product of an over-active imagination. Well, true in part, no doubt. But history is perhaps stranger than fiction in some respects. A while back, I was lent a copy of "Princes, Posts and Partizans: The Army of Louis XIV and Partisan Warfare in the Netherlands 1673-1678", by George Satterfield. Not perhaps a title to catch the eye, but a book of real value to anyone interested in the warfare of late seventeenth century northern Europe. One of the key themes of Dr Satterfield's book (which I hope to review here on the Blog later this year) is how Louis XIV's large and extensive dragoon forces actually operated in the field. Of course, they were useful in reconnaissance, could be very handy in a skirmish fight and had a limited role on the Field of Battle - but this was very much just the tip of a well-crafted iceberg. 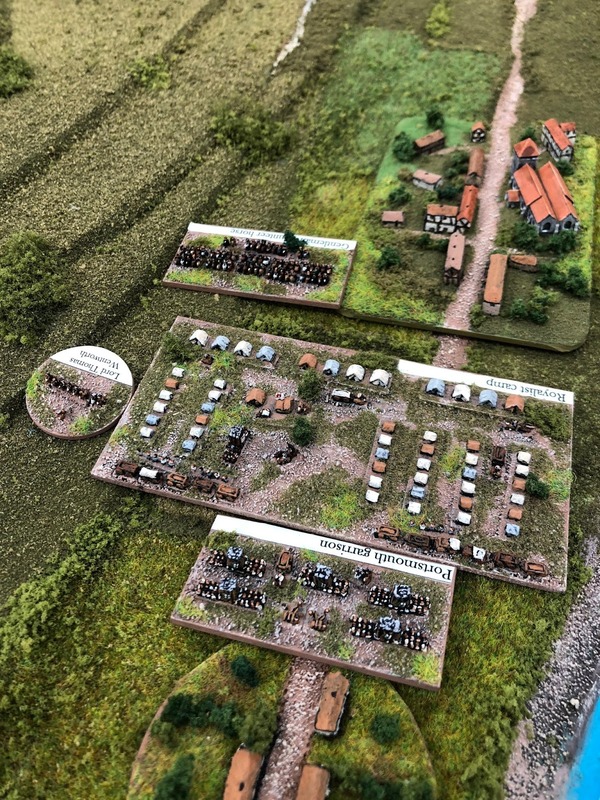 Dr Satterfield's book goes into a lot more detail of how the French dragoon arm essentially operated as a State-sanctioned organised crime group, bullying, beating, cajoling and stealing from the unfortunate civilians of the southern Netherlands, the Rhinelands and the United Provinces during times of war. 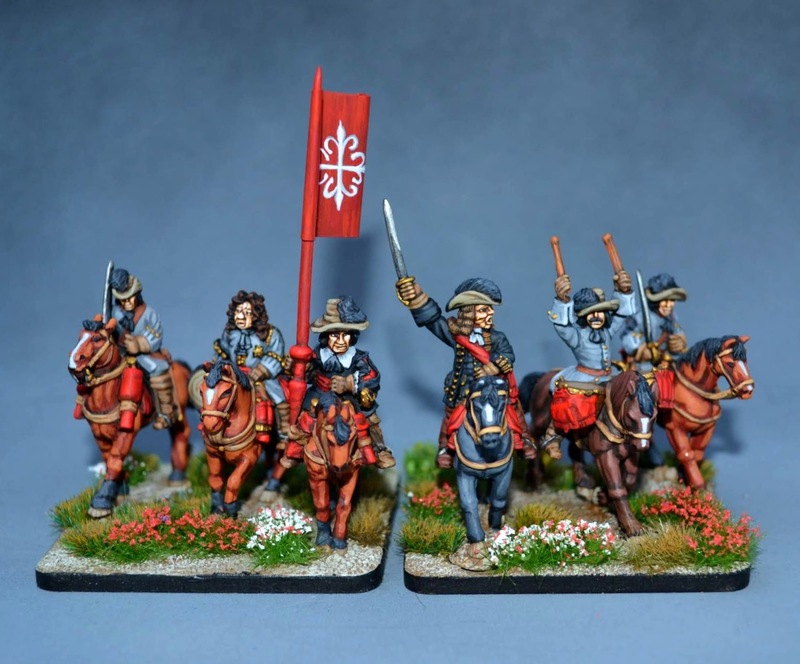 They appear to have been significantly more subtle than the predominantly mercenary, or enterpriser, forces of the Thirty Years War. 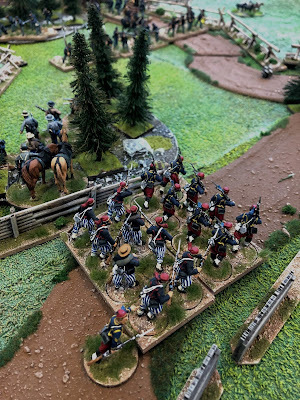 An aim of bleeding the land, rather than destroying it, might be one way to describe the French dragoon regiments' particular leitmotif. How such formidable adversaries could be counteracted is a story to be left for another Blog post, however. "Princes, Posts and Partizans" is a very fine book. The only downside is the deeply depressing retail price, focused on a tiny academic marketplace. I managed to borrow the book on loan from a university library through a professional channel, but it's very sad that the excellent research of academics such as Dr Satterfield is not more freely available. 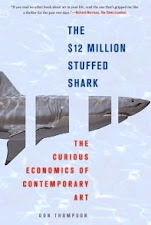 Many thanks also to Chris for his recommendation and the loan of Dr Satterfield's book. 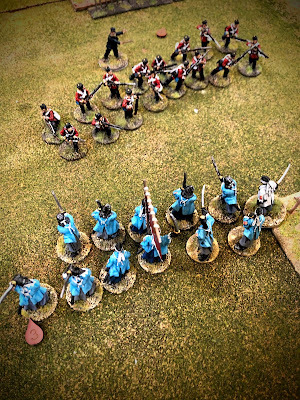 Turning to the figures, they're a mixture of 28mm Dixon Miniatures' Grand Alliance range, with an Ebor Miniatures officer and drummer. 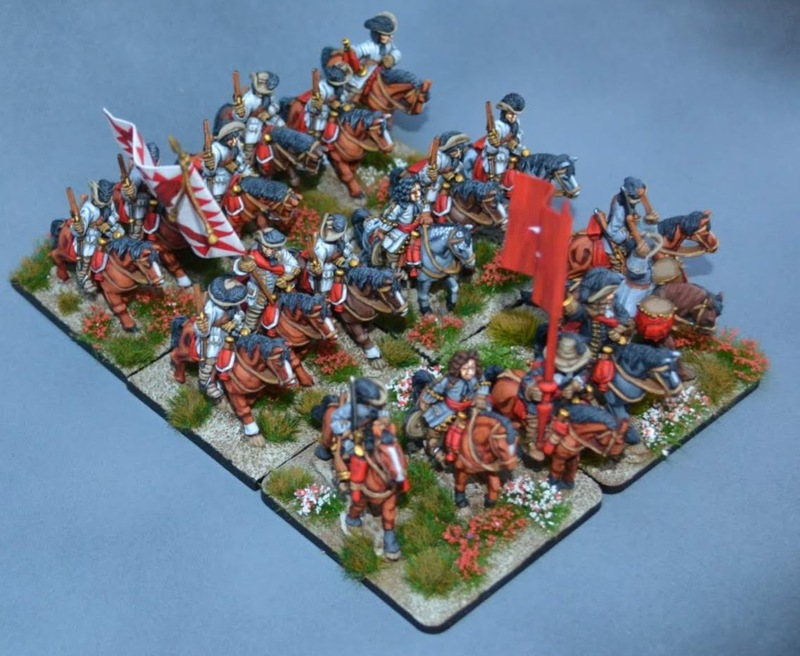 The figures were all very easy to prepare and paint. 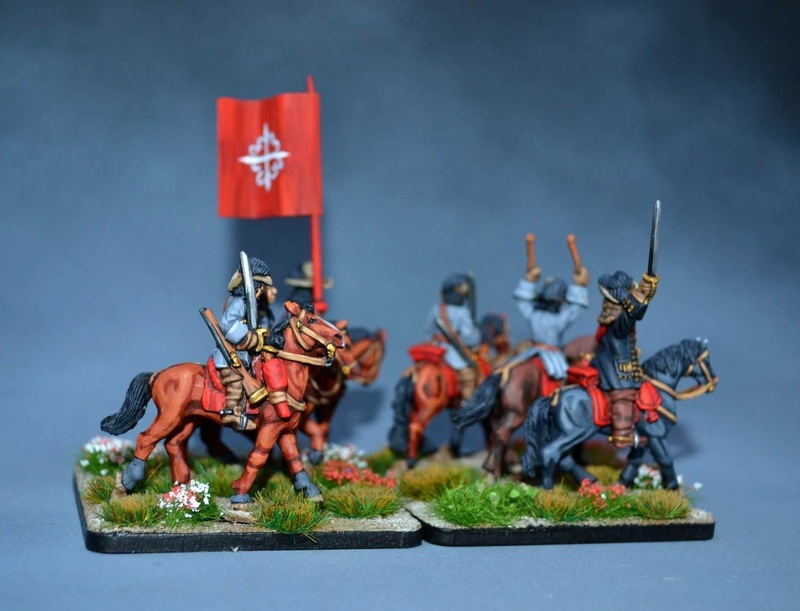 I really liked the smaller Dixons horses, marketed in the catalogue as "Dragoon nag" (GAH 2). The Ebor horses were lovely, but slightly too tall and better-bloodlined for what I wanted. 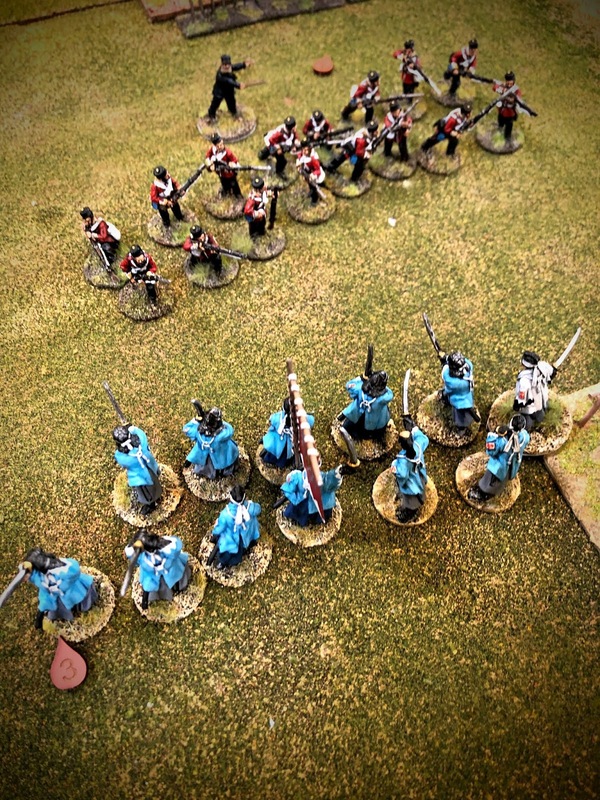 I therefore re-mounted the Ebor officer and drummer on Dixons ACW horses and Tartar ponies. The uniform is the colourful the Dragoons de Fimarcon (taken from Robert Hall's book for the Pike & Shot Society). For various reasons, I resorted to painting the standard myself. OK, so I confess, it's a little over-scale, but I prefer my flags on the large side. I stayed away from metallic paint on the standard. No doubt golden thread was used on the original, but I'm also fairly sure that might have darkened in time, not least from the blackpowder smoke present on any battlefield. Maybe its just me, but I sometimes find metallic paint (even Vallejo's lovely "air" range) a bit hard to use and blend. 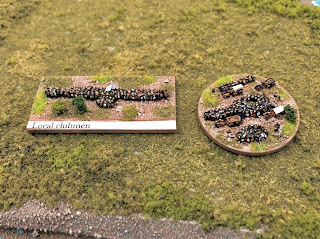 So, a slightly different perspective on a familiar formation, and a truly resilient adversary from the Sun King's army. 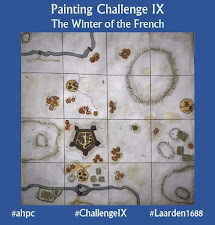 Hope you can join me again next time when we'll be looking back to another formation which never got finished during this winter's Painting Challenge! See you all then!! As soon as I saw them, I regretted deeply that I had come this way. The Brabant down-land was an easy ride, bathed in weak but golden winter sunshine. 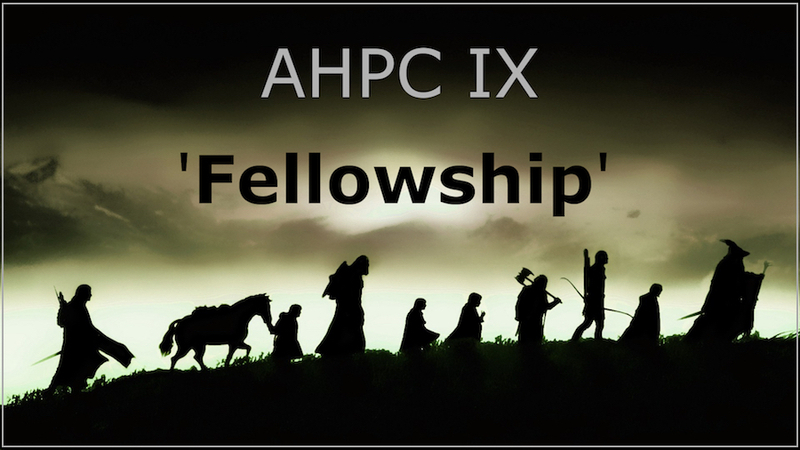 The frost-crisp ground was hard under my horse's hooves, but so far none of my party of twelve gentlemen, servants, bodyguards and my écuyer had been inconvenienced, even when moving at a swift canter. 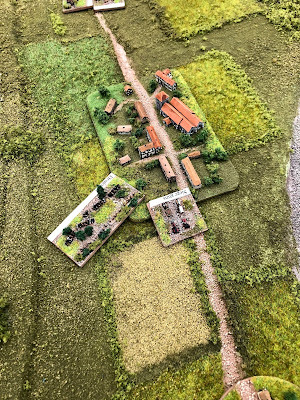 We had chosen the route to the west of Moerslag to avoid any parties of Flemish or German horse which might be prowling through the folds of the rolling hills. 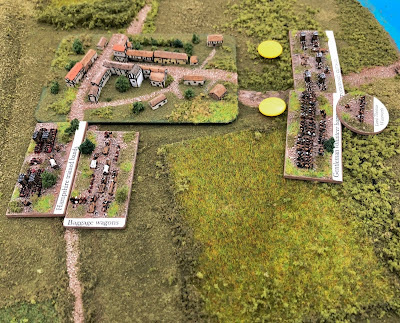 We rode quickly past thin, scratchy woods, and refused to stop at the small clusters of farm houses which were sprinkled on the track-ways through the downs. "Five leagues left, My Lord", my écuyer, Jerome Dubras, informed me in a hoarse, rasping voice, half-lost in the cold, February air. Not far, then, until we re-joined the main column of the Sun King's army. 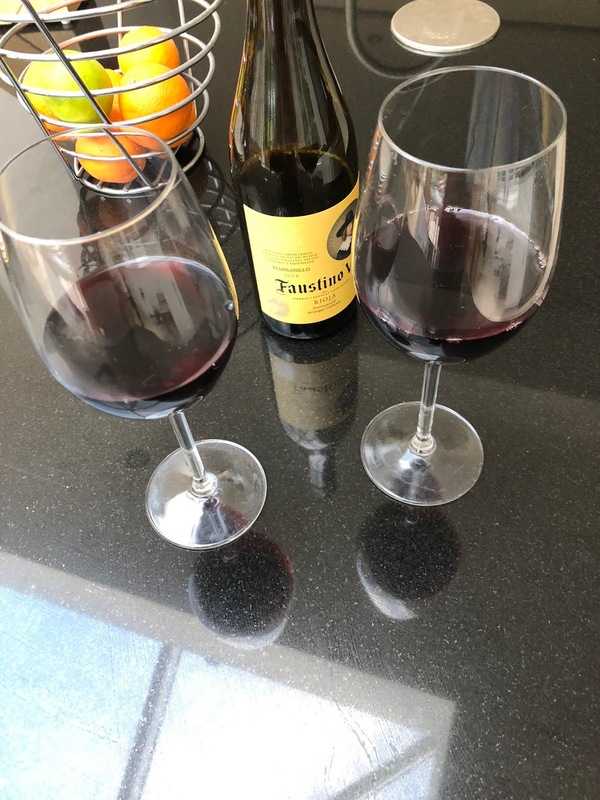 Not long until I could re-unite my throat with the fine wine of the Haut-Medoc in the comfort of a local hostelry I had requisitioned as my temporary quarters. Often at a time when my mind wanders, bad things happen. And this was no exception. The down-land track passed between two large copses of leafless, black winter trees. 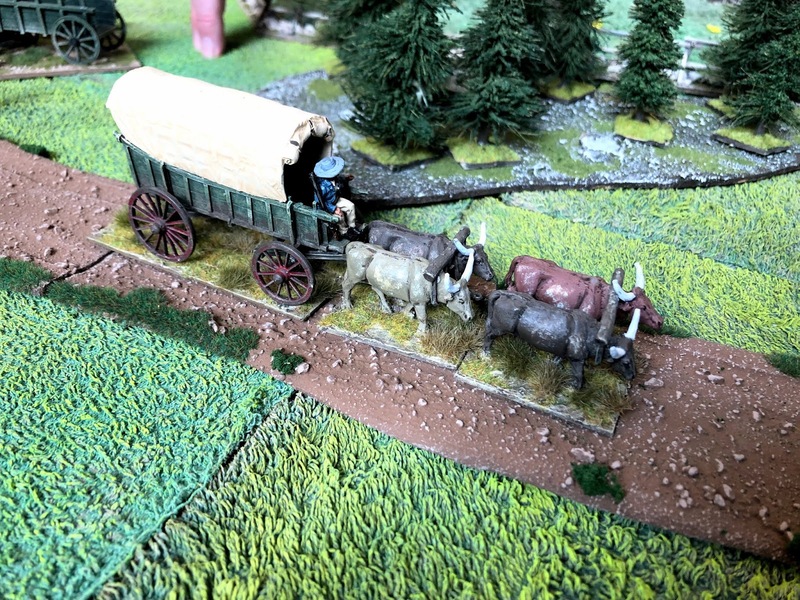 Between the woods, on the track, were roughly four score horsemen in a ragged formation. As we drew closer, I could see half were mounted on thin, scraggling ponies. 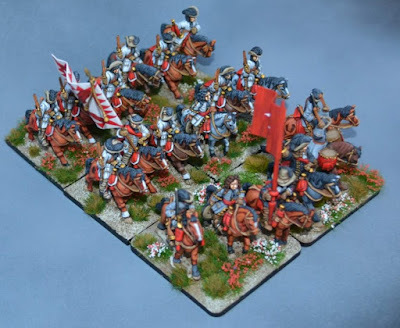 The remainder were mounted on horses of different heights, weights, colours and breeds. There was no suggestion of the mounts being in any way uniform. The riders were just as chaotically attired. Cloaks, jackets, shirts, scarves and caps of scarlet, deep green, amber, sky-blue, azurre, black and yellow assaulted the eyes. Over-jackets were slung from the shoulder, like wolf skins. Most carried several weapons, with many holding heavy club-footed pistols and wheel-locks no doubt stolen from a supply chain or looted from the site of a recent skirmish. Others carried long Hungarian-styled sabres with which they cut the cold air at speed, the blades passing mere inches from their horses' ears. The riders' dark eyes looked at me from grinning, frowning or sullen faces. Their leader cantered out to meet me, his Arab mare a noticeable pedigree among the shabby mounts of his command. His attire was even more outlandish than those of his troops, comprising Ottoman horse furnishings and a leopard-skin cloak over the clothing of a Polish nobleman. I did not recognise this member of the troupe, although I had seen the formation before. I raised my hand, and called out to the leader, who reined in six feet from me. "My greetings to the Hussaren of the Baron de Kroneberg. I did not realise that you were riding this far to the west. I had imagined you would be at the gates of Laarden by now", I said, my breath clouding in the cold air. I was treated with a glittering smile in return, coupled with eyes which stared at me with barely concealed distaste. The faux-noble replied in thickly-accented French, familiar to me from my time following the drum in what the Germans call "Die Turkenkrieg". "The Baron has business in the camp of Your King, Marquis. 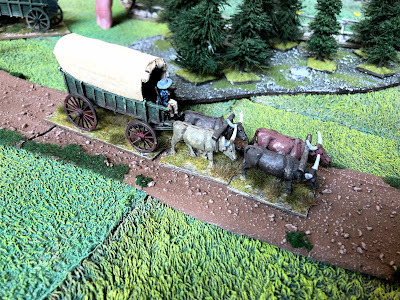 Otherwise we would no doubt be finding other business on the road to the north." His words were accompanied with a half-gloating chuckle. "Please, let us accompany your small party", he added, riding closer and looking over my horse furniture greedily, his eyes fixated on my gold-inlaid horse pistols. Even as he said the words, I could see the horsemen behind him trotting forward to envelop my small party. I nodded in his direction, and spurred my horse forward at an easy pace, being sure to keep my hand firmly on the dispatches in the pocket of my riding coat. I wondered how many of my party's possessions might "find" their way into the saddlebags of von Kroneberg's thieves by the end of the day. 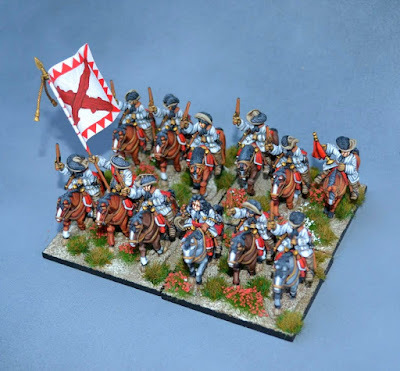 And here you have the first formation of the French army of Louis Le Grand, from around 1688 in my (fictional, slightly alt-historical) timescale for the Free-Flemish city of Laarden. 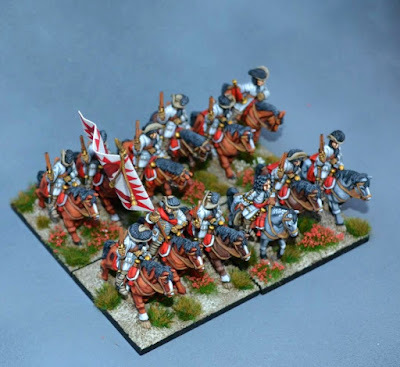 I say "French" with some caution as the formation modelled is a company of "hussars" in French service, comprising mainly Croatian deserters from the Imperial armies of the period. The (real) formation was assembled in 1692, and was led by the mercurial Baron de Kroneberg, who gets a brief mention in the latest extract above from the Marquis de Montchevreuil, one of our trusted correspondents for the Laarden Campaign of 1688. Baron von Kroneberg's historical horsemen seem to have caused numerous problems for the French Mestre Le Camp in Flanders, and it's perhaps not a stretch to imagine the "hussars" as being rapacious and light fingered, as well as effective in the field. Similar horsemen relieved the Earl of Cadogan of his pocket watch in 1706, and - for all of their undoubted skill in 'le Petit Guerre' - Croatian cavalry operating in France, whether or not under French colours, enjoyed a mixed reputation. The 28mm figures are a mix of The Assault Group and Wargames Foundry. 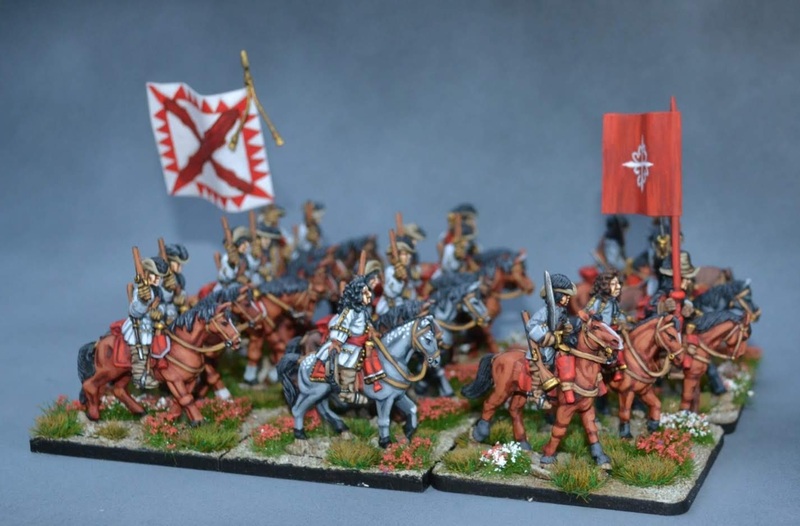 A Croatian 'hussar' company of this sort would, I imagine, have been mounted on a variety of horses, and armed in a somewhat eclectic fashion. Doubtless very few of the horses and arms were purchased at full market value! I thought that the slight different in pose and height of the models worked well here. They were, of course, a total pain to paint, as each was really a mini painting project in its own right - which I finally finished in March for the Analogue Hobbies Painting Challenge IX. 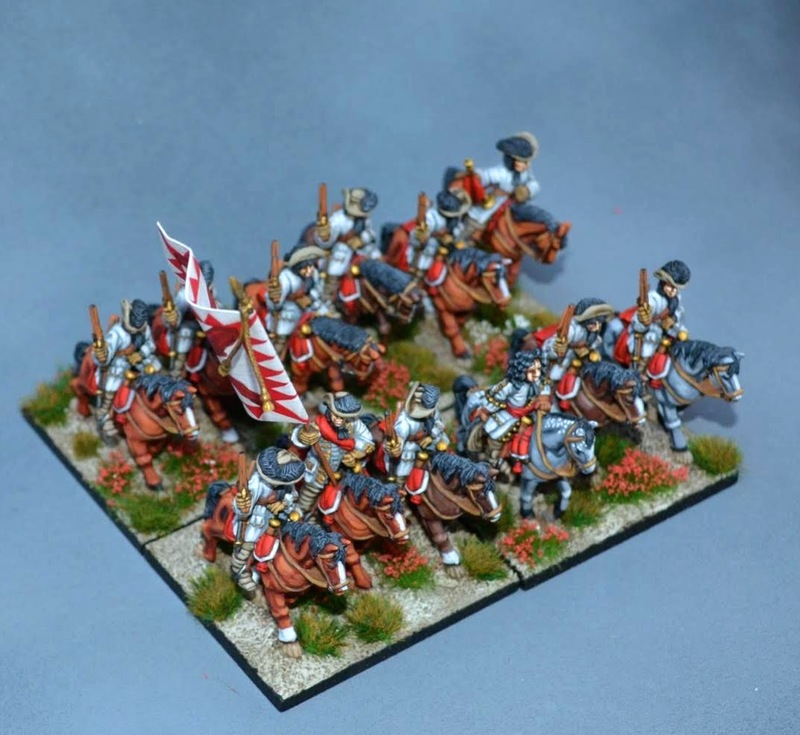 The good news is that the French only seem to have commissioned a single company of these 'hussars', which means I have been able to get back to more regularly uniformed troops on the French side in the last week or so. 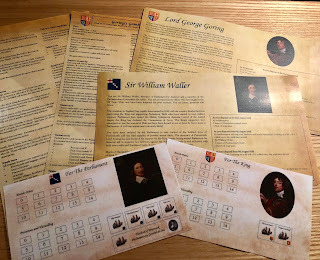 For anyone entranced with such rascals, and how they fought, there is some good news to come soon on the Blog. 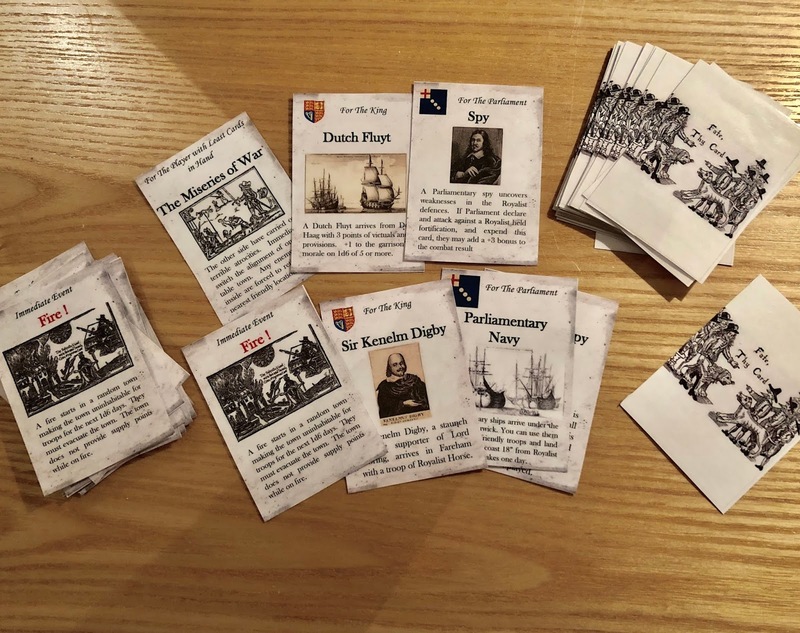 As listeners of the "TooFatLardies Oddcast" will know, I've committed to figuring out - during 2019 - how a game based around reconnaissance in the 17th Century might work. And it would hard to exclude either 'hussars' and Imperial Croats from that setting, which is very much the place where they excelled. 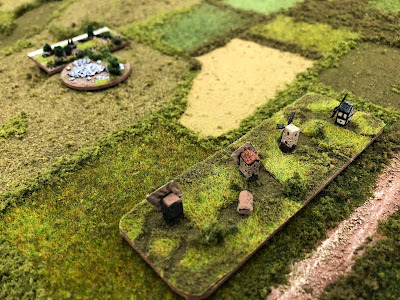 So, as we continue our journey to Laarden, can I please remind you, Ladies and Gentlemen, to take good care of your pocket watches, purses and other valuables on the track-ways of Flanders - especially close to the village of Moerslag - you never just know who that scruffy looking horseman might be on the brow of that nearby hill. I was not surprised. If anything, I was faintly amused. 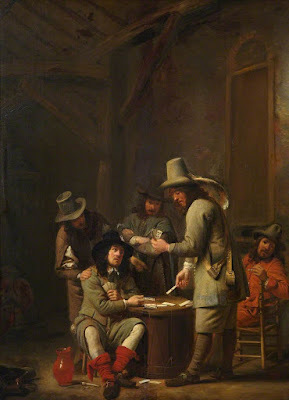 Not enough to laugh, but enough to smile, wryly, at the Sieur de Lombez whose clear pale blue eyes met mine across the huge oak table in the Chateau de Gagnac, near Valenciennes, where the Duc d'Humières had established his entourage and court. It was draughty, cold, damp and unwelcoming. It reminded me of home. 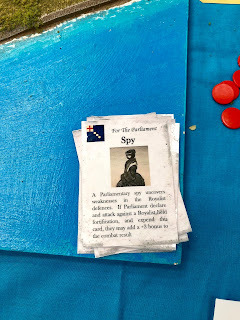 The room was filled with more than fifty courtiers, commanders, diplomats, plenipotentiaries, supernumeraries and even a Prince of the Blood (lingering in the shadows by the corner of the room, laughing at the less interesting parts of the Royal campaign proclamation, being recited by the Duc in theatrical tones). The list and the direction of the campaign was impressive. An uncharitable observer of the Duc’s sweep of his heavily jeweled hand might conclude most of Northern Europe was to be included in the Grand Chevauchée . Few locations in Flanders appeared to be spared in the King’s proclamatory pilgrimage - I even caught the name of that unpleasant little village of Sint Vaalben, where the Flemish cavaliers almost killed me twelve years ago. 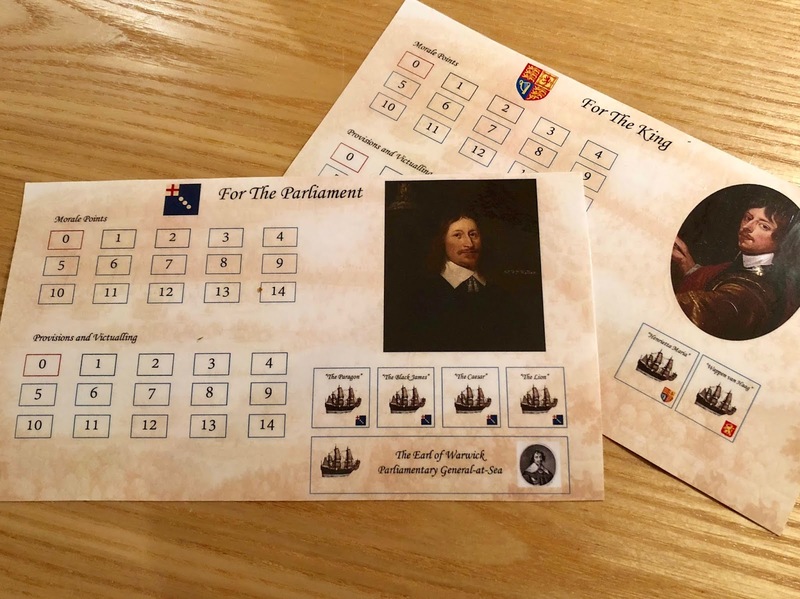 The Duc rolled up the papers of the Royal Proclamation and handed them to a bewigged Versailles flunky, accompanied by a well orchestrated burst of applause. To be honest, I had heard more rapturous and inspiring commencements to a campaign. 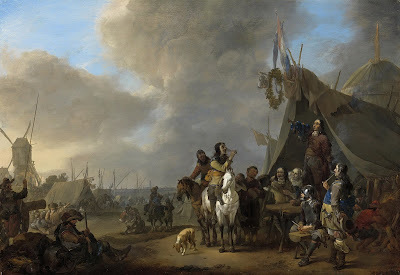 The Great Condé's opening speech at the start of the last Dutch War had been truly memorable, but then he was drunk and most of what he was shouting was libelous and concerned the personal habits of the Comtesse de Crillion. So, quite obviously, we all enjoyed listening to that. 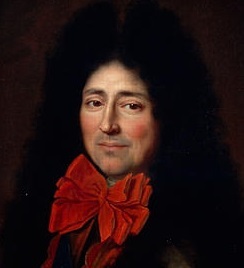 By contrast, the Duc d'Humières' style was more self-reverential, as if a little of the Sun King's ambition might run off on the Duc’s avaricious and pudgy fingers. 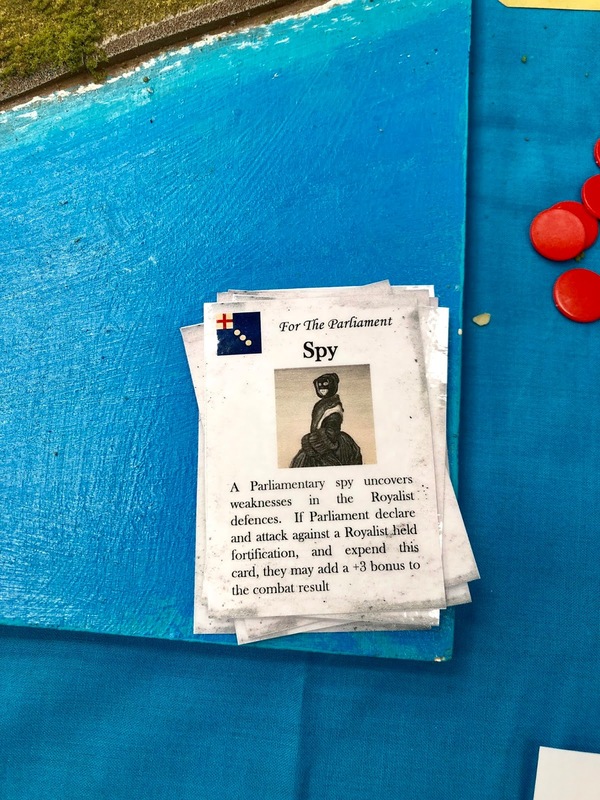 Whatever the reasons - whether it was the deeply uninspiring leadership of His Grace, Le Duc, or the absence of saucy stories about a notorious libertine - I detected the applause being just a little muted as the Sun King’s proclamation was finished. Or maybe it was because of the damp atmosphere of the old hall in the Chateau (old miser de Gagnac clearly didn't go overboard on the firewood sputtering in the heart of the inaptly named 'great fire" fizzling in the back of the hall). Or maybe it was the lateness of the hour in that mid-December evening. Or possibly it was the inconvenient fact that, of all the maps scattered across the table by the Duc d'Humières, I knew that none of them were remotely accurate. I picked up the corner of one - signed in an extravagant hand “Patrice de Colequin, Gentleman of Bordeaux, 1547”. 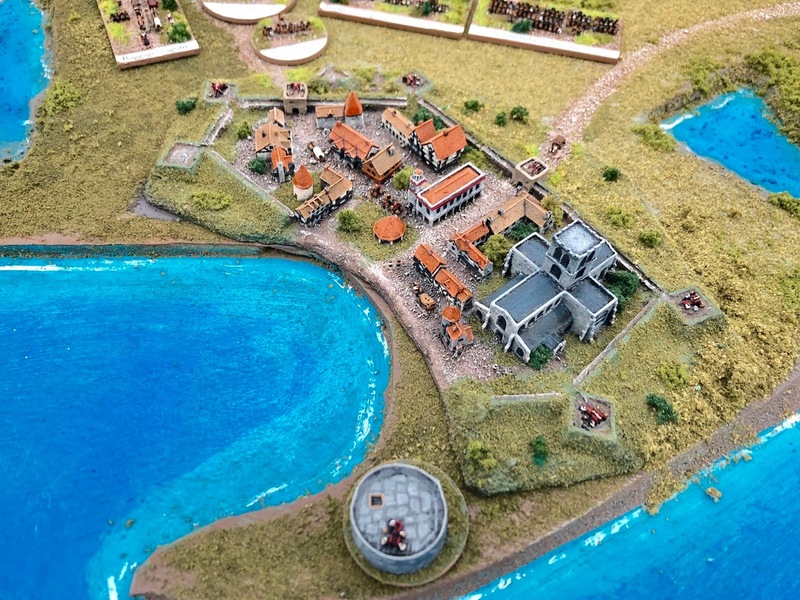 No doubt Flanders and it’s principal towns may have looked as depicted on the map, at least when viewed from the vantage point of a Gascon winery, but I was confident that the pewter-grey fields close to Laarden possessed no mountains, and still less a ravine. There was also a noted absence of sea-serpents in the German Ocean, at least when I had sailed along the coast of Flanders. 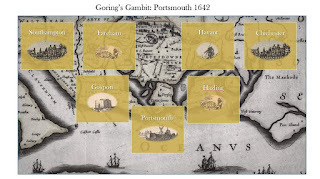 De Colequin’s map masked several other catographical aberrations scattered over the table. One of the other maps was of the City of Genoa (useful for the Grand Tour I would be in need of after this campaign was done), and a third was of the northern Levant. Both were only marginally less useful than de Colequin's “True Map of Flanders and the Citie of Laarden”. I caught the Duc’s eyes, narrowed and icily judgmental, as I fingered de Colequin’s magnum opus. I could almost see his mind calculating under his heavy eyelids. I knew what he was going to ask, anyway. His jumble of imaginary drawings of mountains, ravines and palaces would be useless in answering the one question I knew he was about to ask. I lifted a gloved hand and swept the air with a gesture almost as encompassing as the Duc’s own. 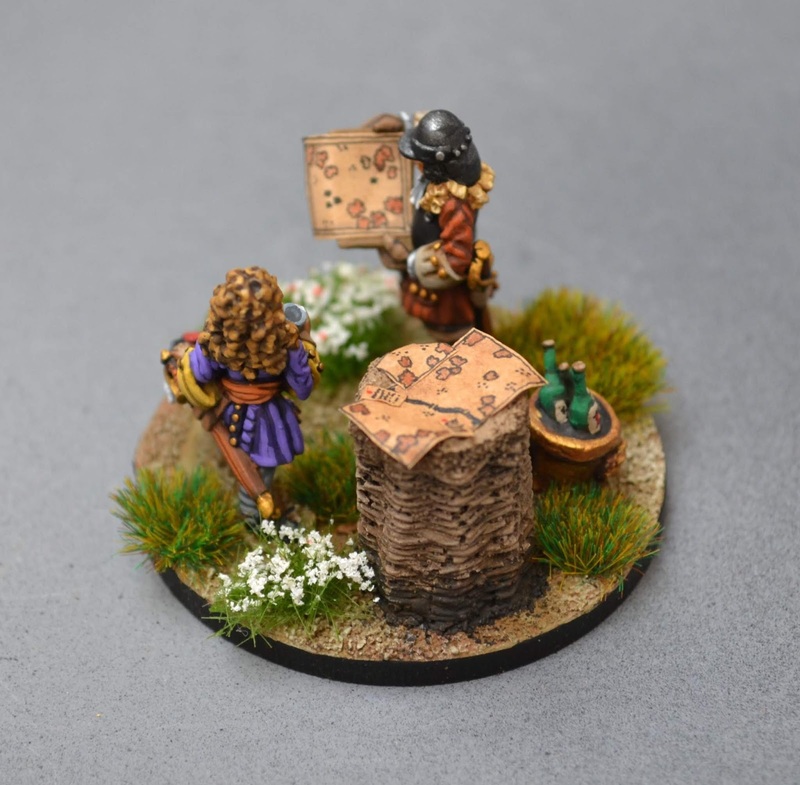 “No need to trouble your cartographers, your Grace. I’m sure I can remember the way with the vanguard”. 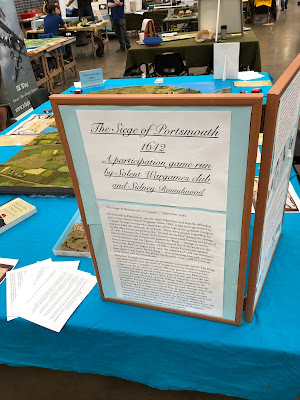 I fashioned a glittering smile, trying not to think of the flooded land, the stench of black-powder smoke and the battles of twelve years before. Remembering the way was the easy part. 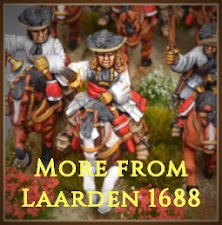 So, yes, more Laarden 1688 nonsense from me. 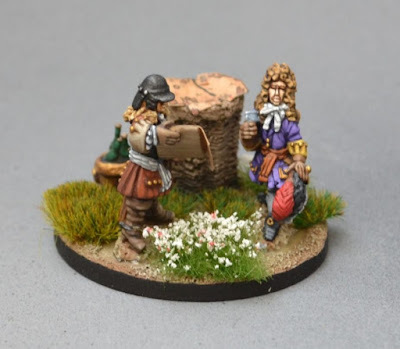 As i mentioned last time, I've been working through the various late 17th Century miniatures i had prepared for painting in Analogue Challenge IX but didn't have the chance to paint through the winter. 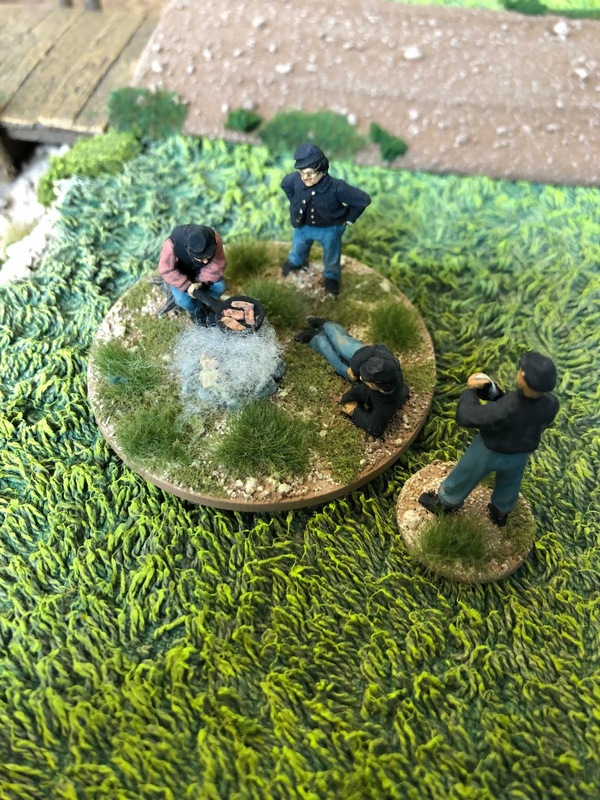 This small vignette was the first to feature on the painting table - only, it never got there over the winter. Slightly delayed, here it is now, finished. 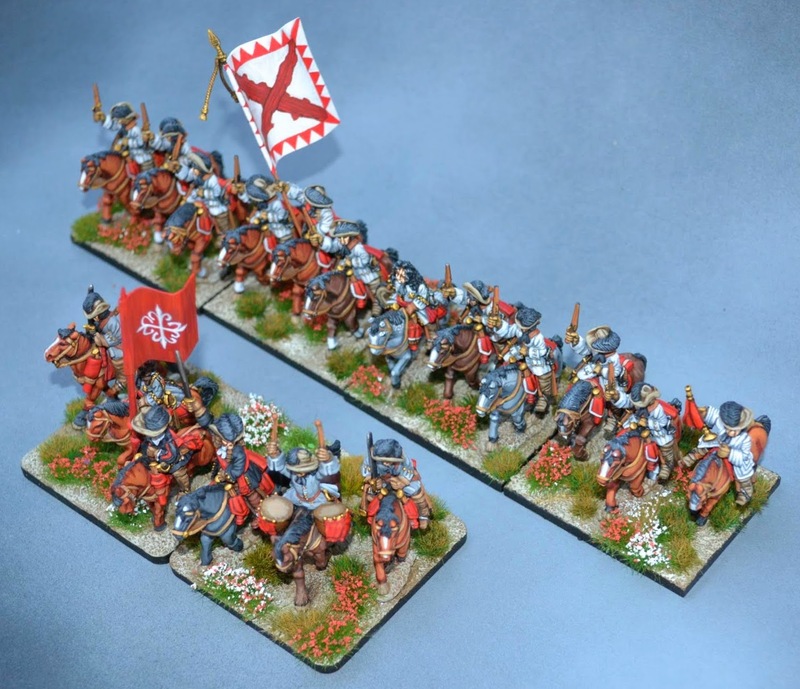 the miniatures from from the Dixon Miniatures "grand Alliance" range, with some conversions. 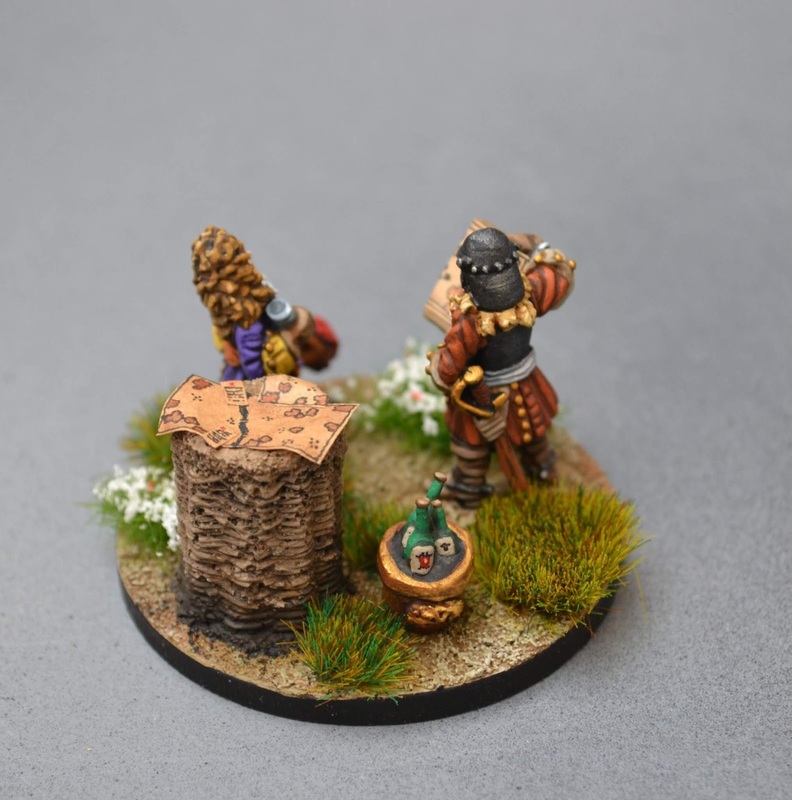 The champagne glass and bottles being enjoyed by the marquis of Montchevreuil are from Scotia-Grendel, and the gabion is from Frontline Wargaming. 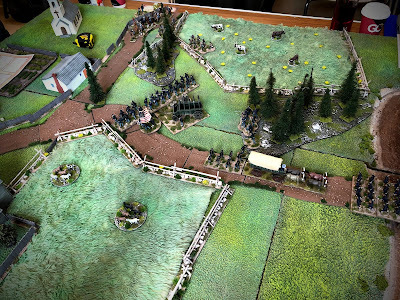 The champagne bucket, maps and dispatches were scratch-built/ scratch-drawn. I hope you enjoy nonsense such as this featuring our French correspondent fr the french campaign in Flanders in 1688, the Marquis of Montchevreuil. I admit alt-history is an acquired taste, but I quite like creating narratives such as this. And its a lot easier than reading and translating 17th Century French. Regular readers of this blog will know that the odd break of a couple of weeks is nothing new. However, looking back at the last post - urggghhhh, sorry, it really is from 2018 - I do feel an apology is in order. 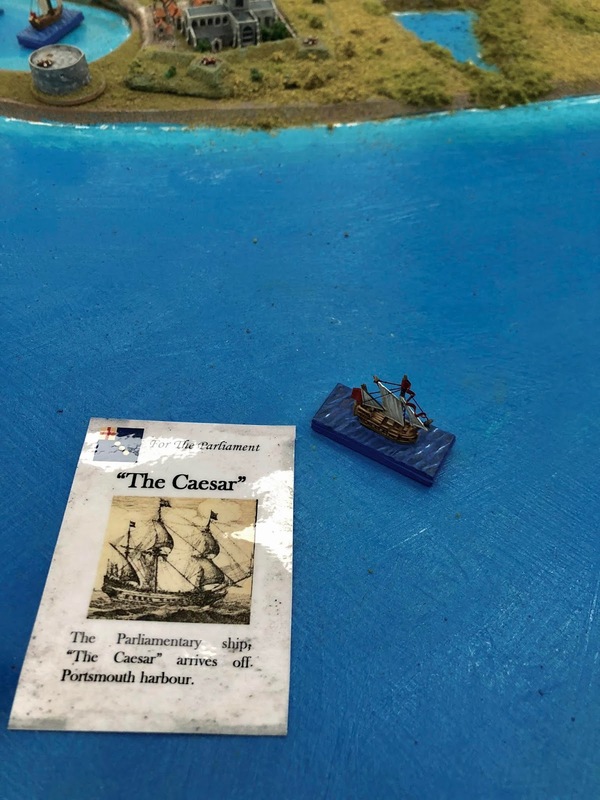 Although I managed a couple of posts in the Analogue Hobbies Painting Challenge over the course of the winter, it was far 'below par' by contrast compared to what I managed in Challenge VIII. “Real Life”, as they say, got in the way with a couple of pretty intense work assignments. It was a great shame, especially as I had some fun things to paint. But, please don’t despair! 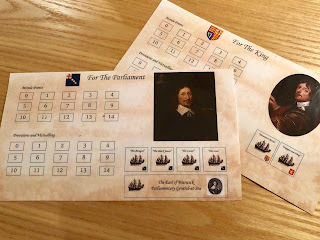 In our time-honoured tradition at Roundwood’s World of never letting work distractions get us down, I hope to be making good on those missed Challenge IX projects here, on the Blog, during 2019, now that “Real Life” has become normalised again. 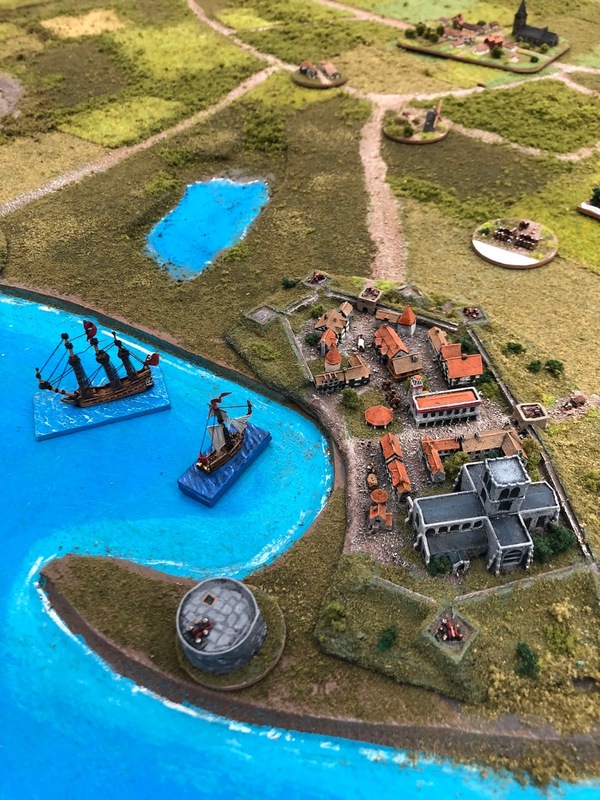 And, as a sign of spring in the Northern Hemisphere, the return to lighter evenings, and as a way of re-starting the blog for 2019, I thought I’d kick off with an “On The Road” report of a couple of recent gaming events I’ve been to recently. 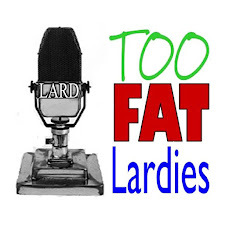 First up - “Come and Have a Go if You Think You’re Lard Enough!”. 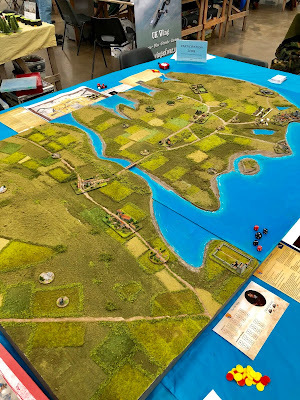 No, not a late night exclamation around our wargames club tables on a Tuesday evening, but a cracking day of gaming and camaraderie in Southampton, England, staged by friend-of-the-blog, and all-round wargaming superstar, Mark “Peaches” Backhouse. Setting up any hobby event from scratch takes a certain amount of vision, and insanity. Setting up a wargames event, for 50-odd gamers takes even more vision and insanity. But, on the 23rd March this year, that’s what was happening in Southampton with a great days wargaming in a local community centre featuring 11 games with the theme of the TooFatLardies rulesets being used throughout. 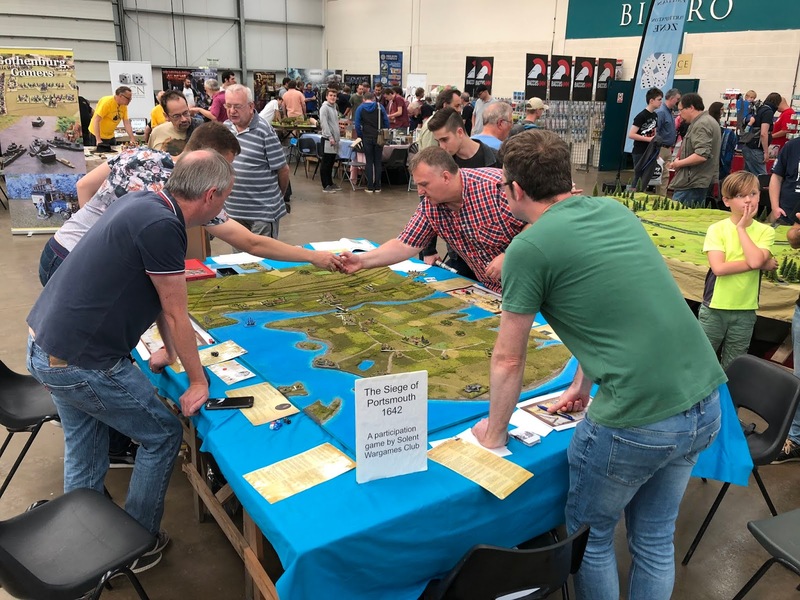 A fine event, faultlessly organised by Mr B, and even featuring a fair few wargaming celebrities including Henry Hyde, Guy Bowers, Rich and Nick (my co-hosts on the TooFatLardies “Oddcast’) and Neville Dickinson from Minifigs, back in the mists of wargaming history. Yes, dear readers, wargaming royalty and glitterati right there. The event more than lived up to expectations. I had two wonderful games of Sharp Practice, the first set in the exotic world of Boshin War Japan, and the second set in the more familiar surroundings of the Shenandoah Valley, circa 1863. The iPhone photos don’t do either game justice, both of which were umpired to the highest standard by Colin and Bob. Colin's Boshin War action was a pretty close run thing. 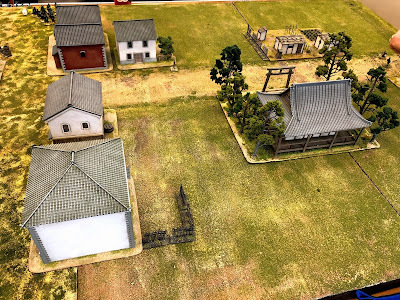 Playing the Japanese, my first instinct was to think we didn’t have a chance. 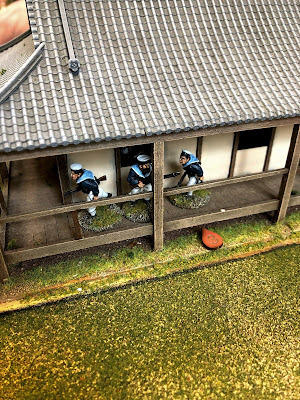 Facing British regulars and a Naval Detachment of jolly Jack Tars is not a pleasant early morning surprise when you’re commanding Japanese ashigaru only recently acquainted with a musket. However, being able to defend their own patch, using interior lines, and having the help from a (frankly terrifying) company of Japanese police armed with katanas meant that the action was a very close run thing. Our Japanese forces captured the fiendish British and European merchants (no doubt confiscating tea, high quality writing paper, fountain pens and other vital European weapon systems), and almost held out behind improvised barricades until the last moment. Deeply enjoyable, and my thanks to my fellow players! 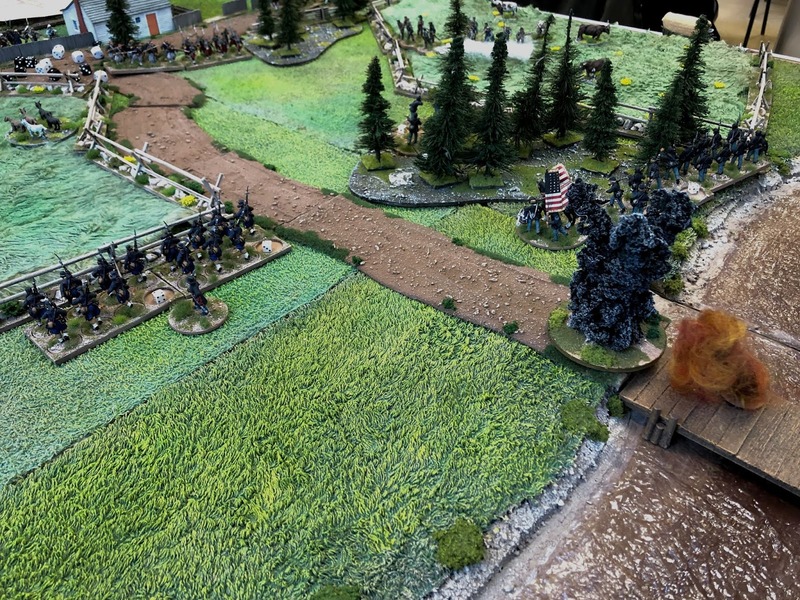 After a good lunch, I ended up helping (or, as is so often the case, hindering) my fellow player on the Union side in the second of my games at the event, staged in the Shenandoah Valley in 1863. 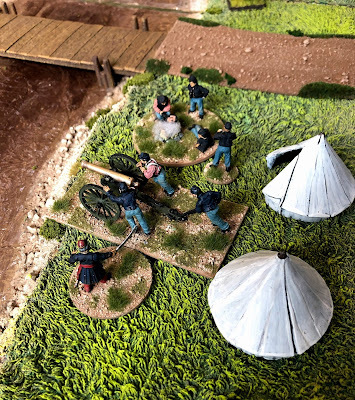 Tasked with removing a supply column from the clutches of Johnny Reb, things were not going too badly about half way through the game. 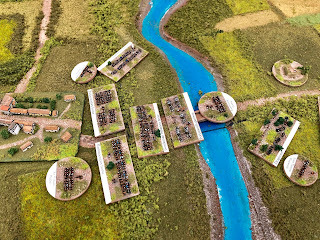 We had successfully extracted our supply column from the table and were then poised to gracefully withdraw our fighting formations to the union side of the river, out of harms way. Meanwhile, Union engineers carefully prepared the bridge for demolition. Well, there are two fateful words in the previous paragraph - “bridge” and ‘demolition”. 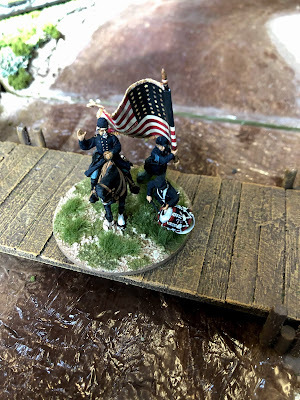 The dice Gods had their entertainment making the Union roll uncharacteristically highly, accelerating the speed of the demolition preparations, right up to the point the the bridge prematurely exploded, with the Union forces on the wrong side. As tactical disasters go, this was up there with the best of them. We managed a 'fighting retreat', but as swimming the rider was not something the union troops had prepared for, honours were deservedly taken by the Confederate side! So, two fantastic games, both played in a fine spirit, and a wonderful event all round. A huge thank you from me to all the players, umpire, attendees and a big shout out to Mark for organising the event. 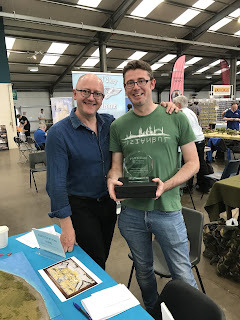 And, since we were interviewing a few hardy souls for the TooFatLardies "Oddcast", a big shout-out to Charlie also, who very gamely agreed to be interviewed by yours truly. Next up on the newly spruced-up blog, I'll take a look at Salute 2019, before cracking on with some details of what's been on my gaming and painting table recently. Hope you can join me for that! And from all corners and parts of our planet can be heard the varied sounds of metal being filed and sanded, flash being carved from 28mm miniature figures and paintbrushes applying Humbrol matt enamel undercoat, as participants prepare for the annual Analogue Hobbies Painting Challenge. This year will be the ninth such Challenge, and my seventh (if I am counting correctly). 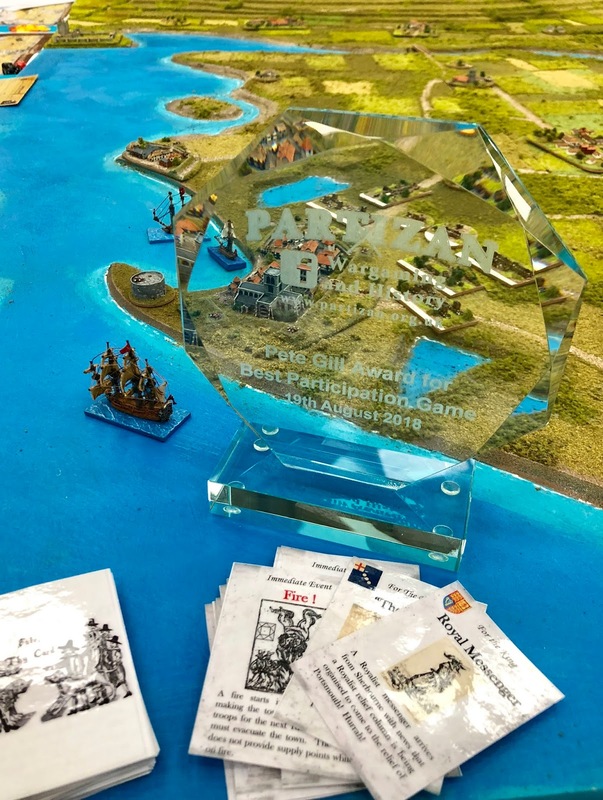 It is one of my favourite hobby events of the year, as wargamers around the globe have fun painting miniature figures over the winter months when the weather is chilly and unwelcoming – or sit in shorts and tshirts in wonderful places like Australia and New Zealand and wonder if their airbrushes can work in the heat. This year, I’ve gone for an ambitious target of 850 points. 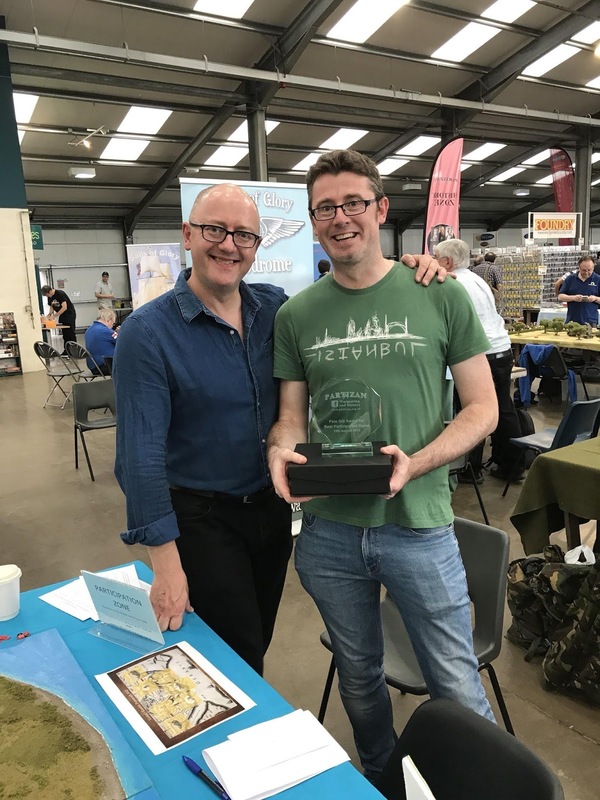 I made it to 1,272 points last year – but that was a special kind of Challenge for me as regards painting. Let’s see if I get off the starting grid before getting too excited for Challenge IX. And before I say much more, three cheers for Curt (the organiser of the Challenge), Sarah (his wonderful and long-suffering wife), and all the Challengers past and present (and their partners and loved ones) who make the Challenge such a special event. It’s possibly not giving too much away to reveal that, with the Flemish and Spanish forces for Laarden 1688 almost finished, its time for me to paint their adversaries, in the shape of the armies of The Sun King, Louis le Grand. 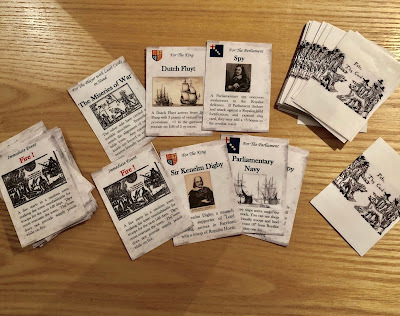 For those not bored enough to have clicked away from this page (thank you, patient friends), we will have a new, French, guide to the impending campaigns swirling around Laarden in 1688. 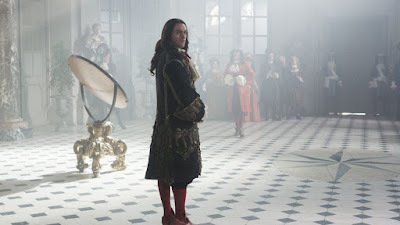 I am very sure that you will be in the best of velvet-gloved hands in the company of the Marquis de Montchevreuil, the epitome of a courtier-soldier from the salons of Versailles. Devotees of Don Fernando de Torrescusa, Marquess de Girona, Envoy of His Most Catholic Majesty, Carlos the Second, King of Spain should not be downhearted however. 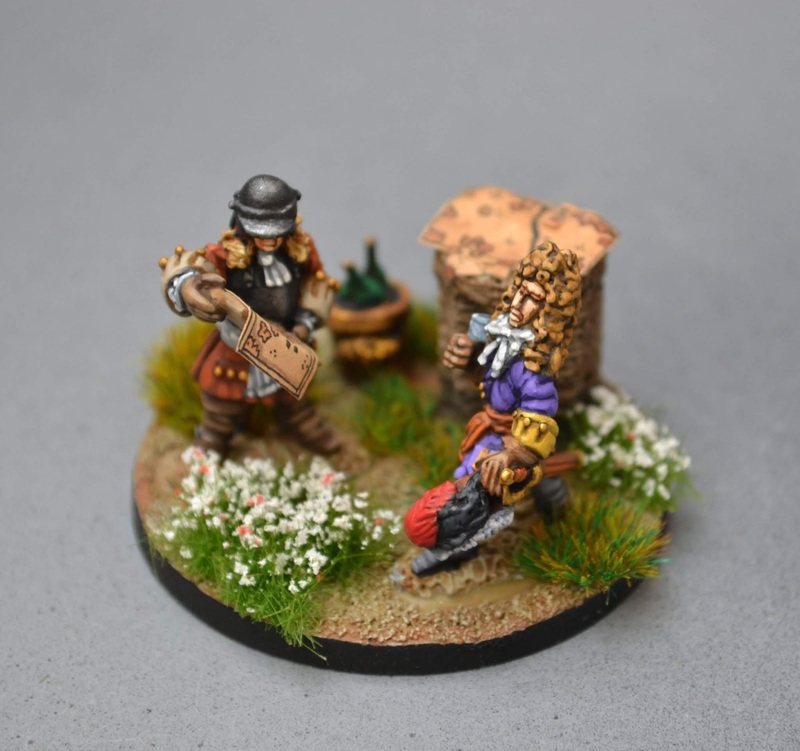 Don Fernando will certainly still be featuring on the blog through the winter months, along with his somewhat picaresque companion, the Flemish cavalier, Antoine de Gautier. So, here are possibly some clues to things which might be happening here, on Roundwood’s World, in the next four months. I hope you can join me for at least some of the fun. I had seen them before, of course. In Spain, at El Escorial, and on the battlefields of Flanders and Germany. They were far harder to notice in the monastery palace of El Escorial than in sunlight. They had a habit of remaining in the corners of rooms, in doorways, slightly behind the fashionable dark wood screens shielding parts of a salon from view. Their clothing helped, as it does with priests, spies, assassins and sellswords of all kinds. And the Brothers of Calatrava were all these, and at most times together, in one. Well, at least according to the legends. I’ve never been a great believer in rumours, and still less in legends. There’s always some mundane human truth at the root of a legend. Something prosaic and earthy, usually with the stink and rasp of a dungheap. The Brothers wove the rumours and their legends together very skilfully in the Court of our Most Catholic Majesty, Carlos II. And that, dear friends, was no accident. As soon as the King revitalised the ancient order of Calatrava on his accession in 1661, there were no shortage of grandees and nobles at Court who saw an opportunity to tie their fortunes to those of the Brothers of Calatrava. At first, we laughed behind our hands. The Brothers were viewed as a tiresome anachronism. A medieval memory in faded black cloth - an illustrious name maybe, but shorn of any real authority. 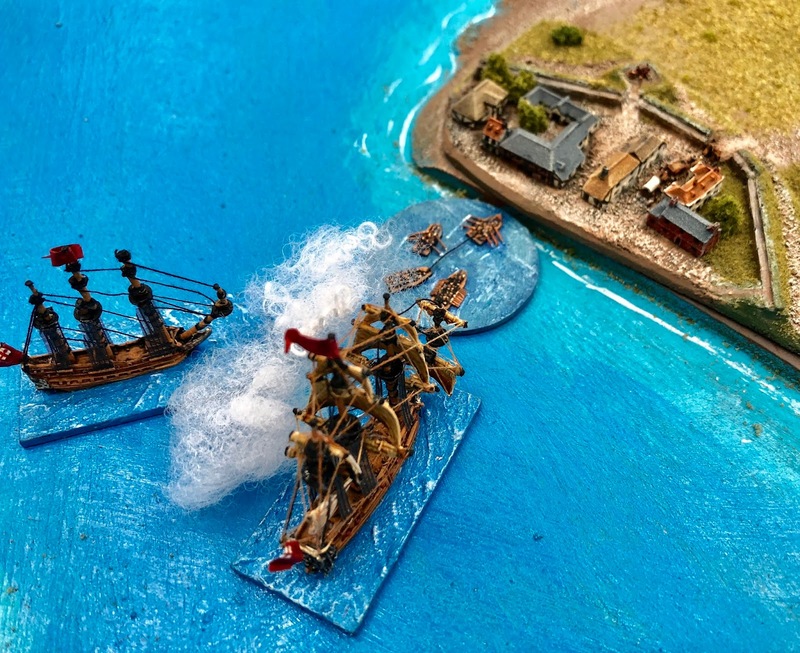 But then the Royal grants of lands, titles and positions started to be made, and things began to change. Status, money, access, influence and power – accompanied by a cascade of gold from the New Spain placed into the hands of the Brothers - facilitated an effortless rise to prominence for the Master of the Order. 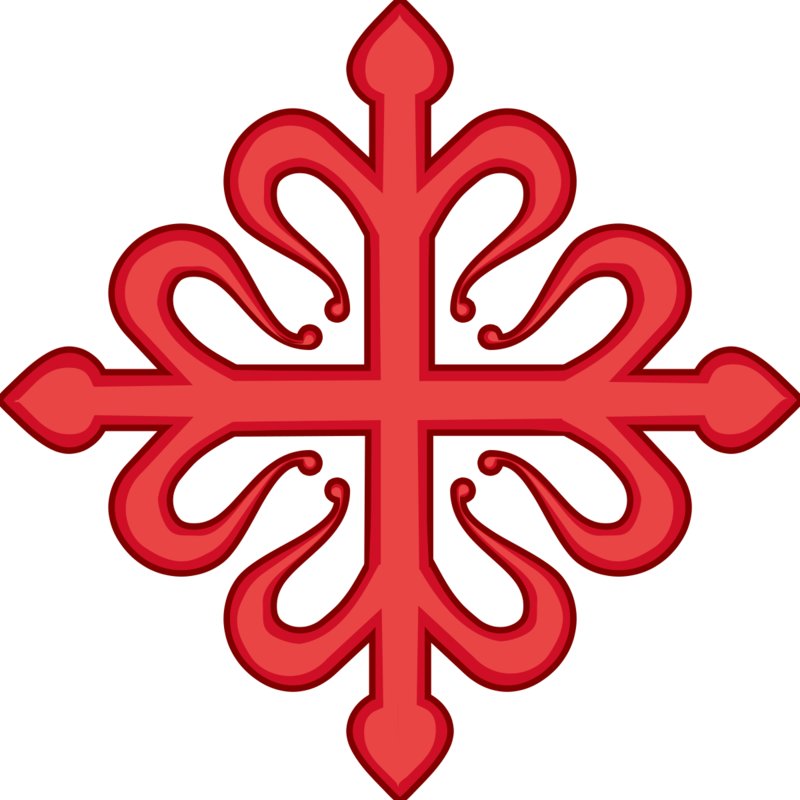 Yet even despite the changing tide, in the early days most of us at Court agreed that there was little that the group of two dozen noblemen could do with a borrowed medieval name, dressed in black and praying in a Castilian fortress chapel alongside the Jesuits, to displace the intricate networks of patronage and power in El Escorial. Ah…. but that was before Seneffe. That was when I first saw the Brothers of Calatrava on the field in Flanders. I can almost see your smile from here as I write this page of my journal in my rooms at 'The Harvest Goose' in Laarden. “The Swords around the Throne”? “The Brothers in Black”? “The Lances of Calatrava”? Were there any more titles you wanted to bestow upon the Brotherhood to add to their reputation after that most violent of days? Oh, there were many other reasons why the Garde du Corps from the Maison du Roi were vanquished on the field of Seneffe. I saw it with my own eyes, of course. 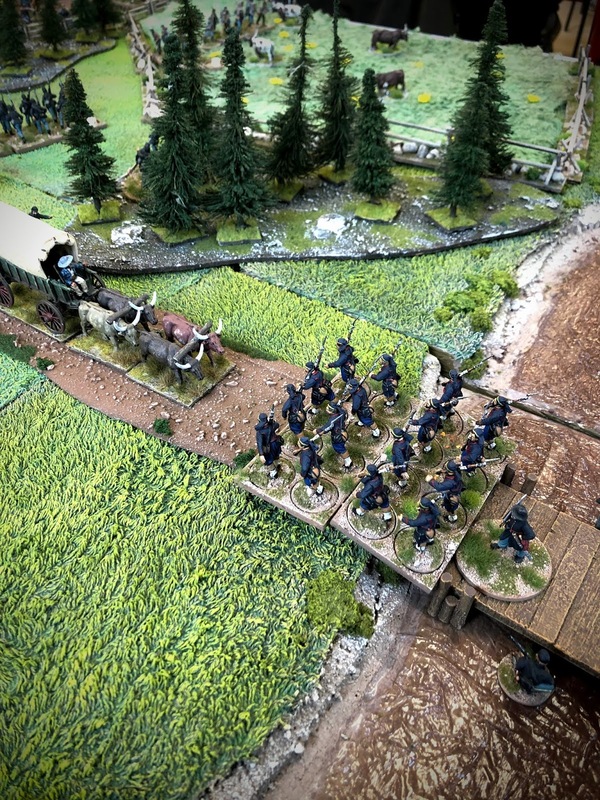 The ground was soft and bad for the French Horse to be deployed there. They were constricted, the flower of the Sun King’s household crammed into the narrow Field like fattened geese before St Stephen’s Day. 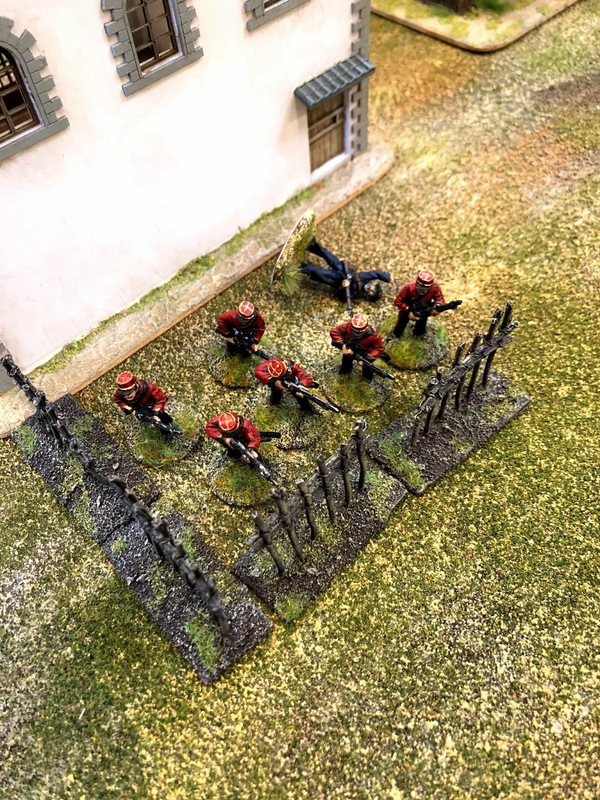 There were more standards among the front lines of the Garde du Corps than swords that morning. And, besides, I had never considered the Comte de Vermandois to be among the first order of the French King’s commanders. All these, and no doubt other explanations - and no doubt excuses - could be offered for what happened that day. And yet it happened. And yes, I saw it all. It was impressive, watching the handful of the Brothers of Calatrava slice through the nobility of France like the Black Plague of Naples. 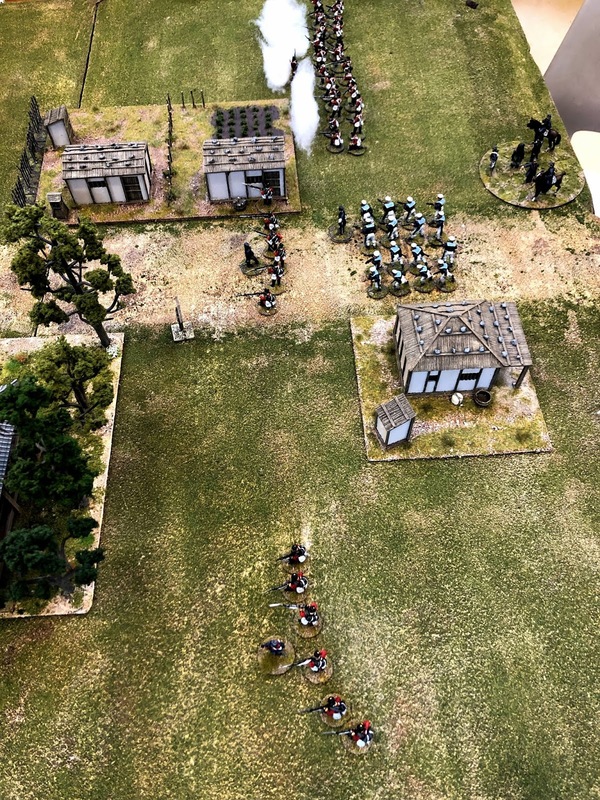 There were eighteen Brothers on the Field that day at Seneffe, although less than a handful survived to the next morning. But that handful was more than enough for the legends to spread, and the rumours to spiral, with even more vigour than the Brothers’ charge into the heart of the French lines. And now I hear there are to be upwards of forty of the Brothers of Calatrava in Flanders, answering the Free City of Laarden’s call to arms. Of course, I shall not turn them away. I have told you already that I have never believed in rumours, and still less in legends. Yet, if I see a miracle happen a second time, maybe even I might start to believe. 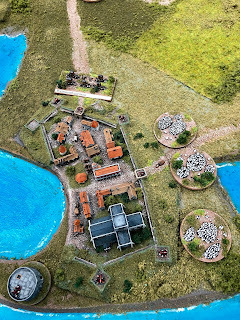 It's been a while since I visited Laarden on this Blog, and a while since I posted anything. Sorry for the continued silence! Hopefully this post might make up for the absence. 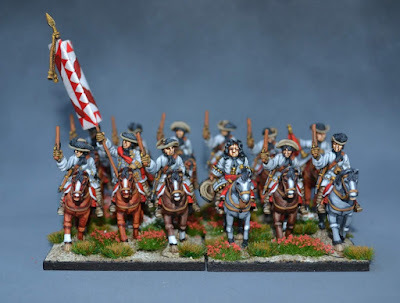 The cavalry in white and light grey are from the Walloon tercio of Horse, raised and funded by Don Nicolas de Puis between 1675 and 1692, when the tercio passed to Don Philippe Gourdin. 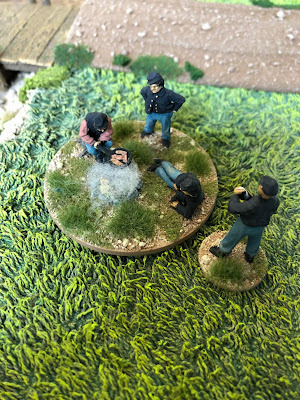 The figures are both Dixon Miniatures and Wargames Foundry, all in 28mm, and most of them being sculpts from the last 1980s and 1990s. I think they have passed the test of time pretty well. The details of the uniforms of the Walloon tercio of Horse and very much historical, taken from the wonderful Pike & Shot Society book on the uniforms of the Spanish Army in the War of the League of Augsberg. 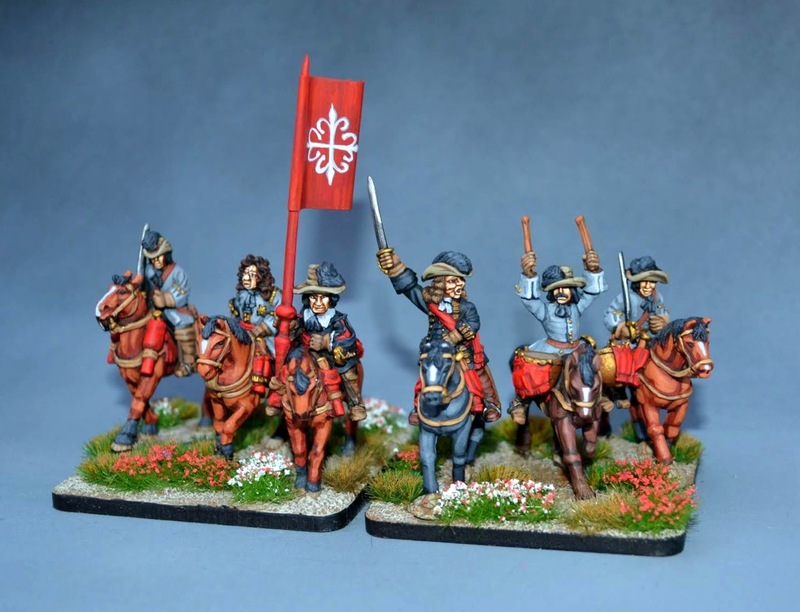 Unfortunately, no details of Spanish cavalry standards for the period exist, and I’ve adapted the standard from an infantry flag captured by the French at the battle of Fleurus in 1690. The flag is freehand, as sadly no-one seems to print flags for the Spanish tercia of horse in this period. The Brothers of Calatrava are, however, not historical. At least, not in 1688. 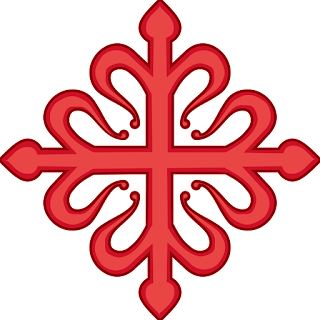 The Order of Calatrava was essentially nothing but a moribund, inactive order of chivalry in Spain by 1688. 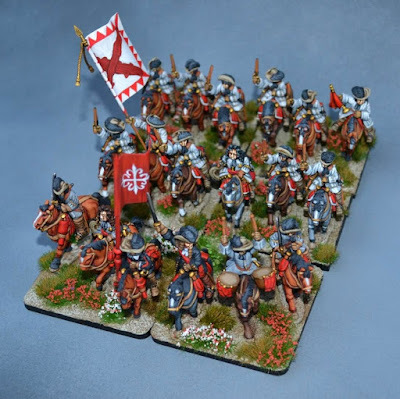 Yet, with a little 'alt-historical' magic, hopefully the Brothers of the Order can take to the field again on a wargames table. The figures of the two Brothers are again Dixons and Wargames Foundry. 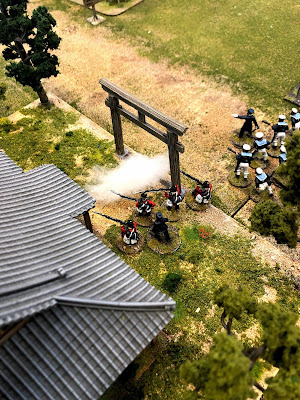 The lance was from Redoubt, and was shortened down a little. The standard was again freehand, and was taken from the standard of the 13th century Order of Calatrava. I painted the two Brothers in black, as a throwback to their historical origins in the true Order of Calatrava. 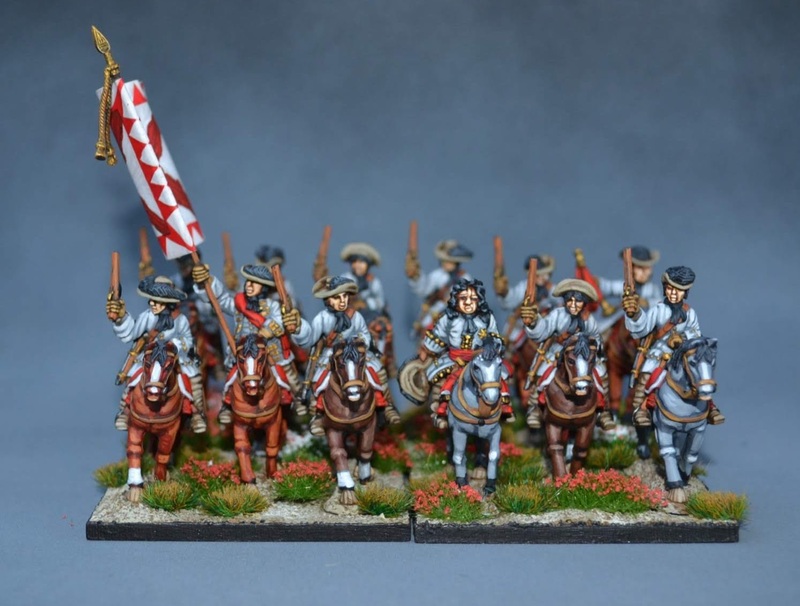 I wanted to leave them as being a small addition within an existing formation – which is why the Brothers of Calatrava are accompanied by four more soberly uniformed Spanish horsemen. 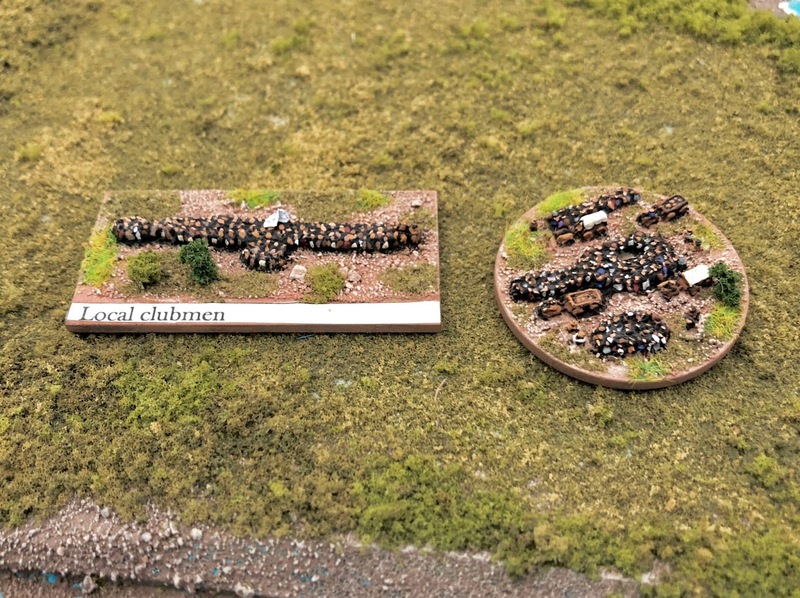 I really like messing around with ‘alt-history’ in this way – creating historical formations for the wargames table which did not actually exist at the relevant time of a battle, but which could plausibly have done. I did something similar with the Baltic Horse of the Graf von Bek earlier this year – and despite some good humoured ribbing from my friends, not grown out of the habit during 2018! The bases for the Brothers of Calatrava are larger than those for the Walloon tercio of horse. This is deliberate for a number of reasons. In the rules we’ve been trying out, faster horse has a slightly larger base profile than slower horse (the larger base, and rounded base corners making it easier to identify the faster cavaliers on the tabletop). 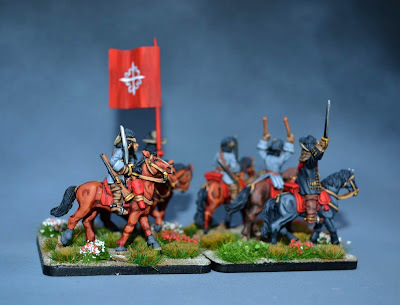 As regarding their use in a wargame, I reasoned that the Brothers of Calatrava could either be used alone, or to add some bonuses (and possibly some less predictable features) to an existing unit of horse. For anyone wanting to dive into the historical Order of Calatrava, their background is much more remarkable than even their exploits on the field of Seneffe as described in Don Fernando de Torrescusa’s journal. The home of the order was the Castillo de Calatrava la Nueva – certainly somewhere I’d love to visit one day. Operation Gericht: Verdun 1916 - a scenario for "Through the Mud and the Blood"
"Just the Right Sort of Chap": British and German Big Men in "Through the Mud and the Blood"
Les Grandes Hommes: French Big Men in "Through the Mud and the Blood"
Night of the Hunter - A scenario for "Through the Mud and the Blood"
The Devil's Breath - A scenario for "Through the Mud and the Blood"